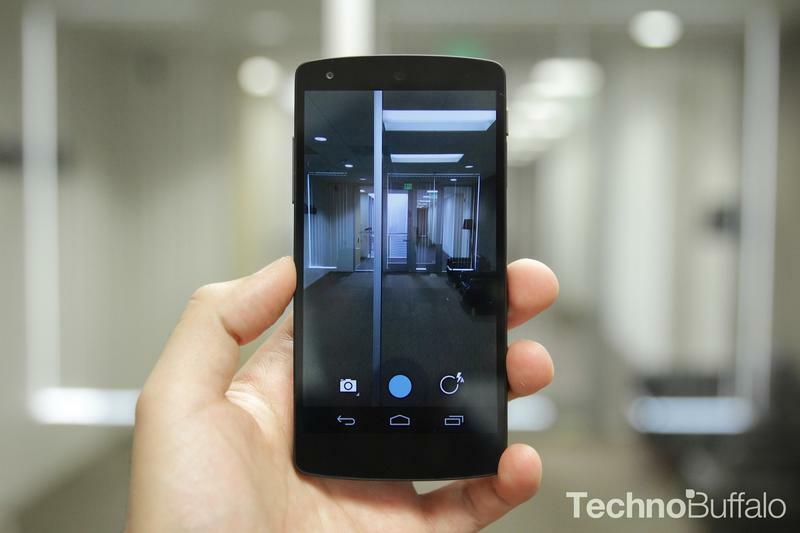 The Nexus 5‘s greatest weakness is undeniably its camera. While Google packed the new smartphone with the latest specs everywhere else, its 8-megapixel shooter falls short of the competition in both photo quality and general picture-taking experience. Thankfully, just a a little over a month after releasing its newest Android OS, Google is preparing to roll out Android 4.4.1, an update to KitKat that fixes much of what’s was wrong with the camera. Speaking to The Verge, Android Director of Engineering explained that the new software update focuses on increasing shutter time as well as the speed of the Nexus 5’s camera overall. The app also launches faster, and quickly focuses on whatever you’re photographing even if the subject is moving. Contrast is also improved, so you’ll get brighter colors. For Nexus 5 owners, Android 4.4.1 is great news. It also means that if you were already thinking about picking up Google’s smartphone but held off because of its camera, now’s the time to order your new handset, especially with the company promising that future updates will only make the camera app even better. The initial software update is slated to roll out over the next few days.